A powerful combination of valid assessment, best-selling content, and personal guidance from John Mattone, the Intelligent Leadership Program is truly an industry first. Limited to only 100 leaders per cohort, this program is GUARANTEED to unleash your full leadership potential! IS THIS A FIT FOR ME? Considering for your team? This unique experience has been designed to seamlessly integrate with and enhance your existing programs. If you’re not currently developing your leaders, then ACT NOW and seize this special opportunity. John Mattone is a powerfully engaging, internationally acclaimed keynote speaker and top-ranked executive coach. 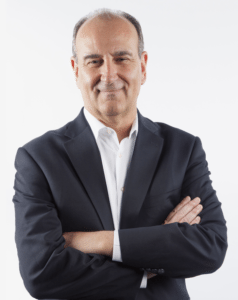 Having worked personally with over 50 top CEOs (including the late Steve Jobs), Globalgurus.org, has ranked John Mattone as one of the world’s top leadership authorities and speakers. Myself Amod Kumar, currently I am based in Dubai and travelling frequently to GCC (Mostly Qatar, Oman and UAE). I am interested in your program to explore my leadership potential. Kindly let me know if your services are available in this area. Looking forward to hear from you soon in this regard. A member of our team will contact you shortly. Thank you so much for your interest in our leadership programs!